Don’t forget this week is a shortened trading week with Easter Holiday Friday. Indexes have sold off two days high to low setting up another Buy Day. Since the 2-period ROC made new momentum lows, it is a Buy Day Scalp Only. If the market opens down, Friday’s low is the main pivot. 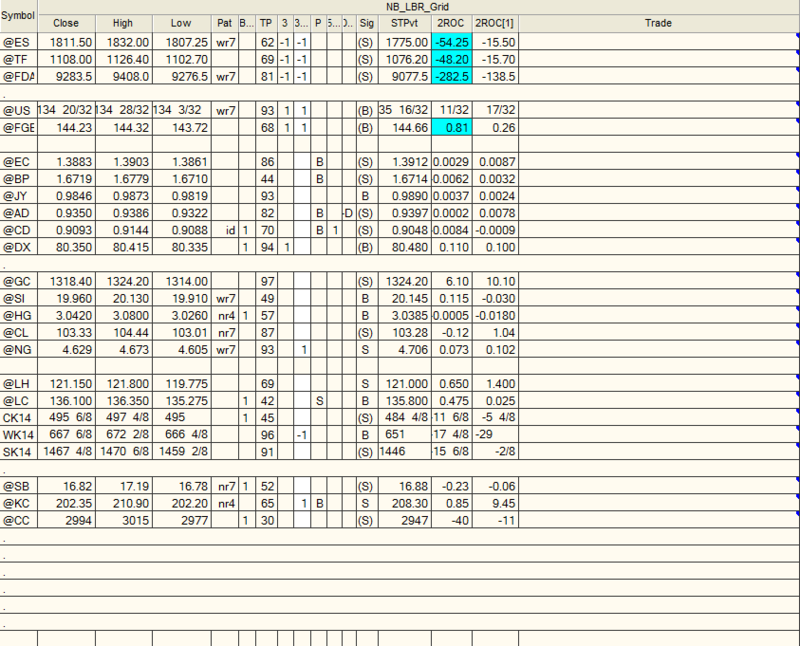 (1807.25) Any morning rally will setup a short sale, much as it did on Friday. 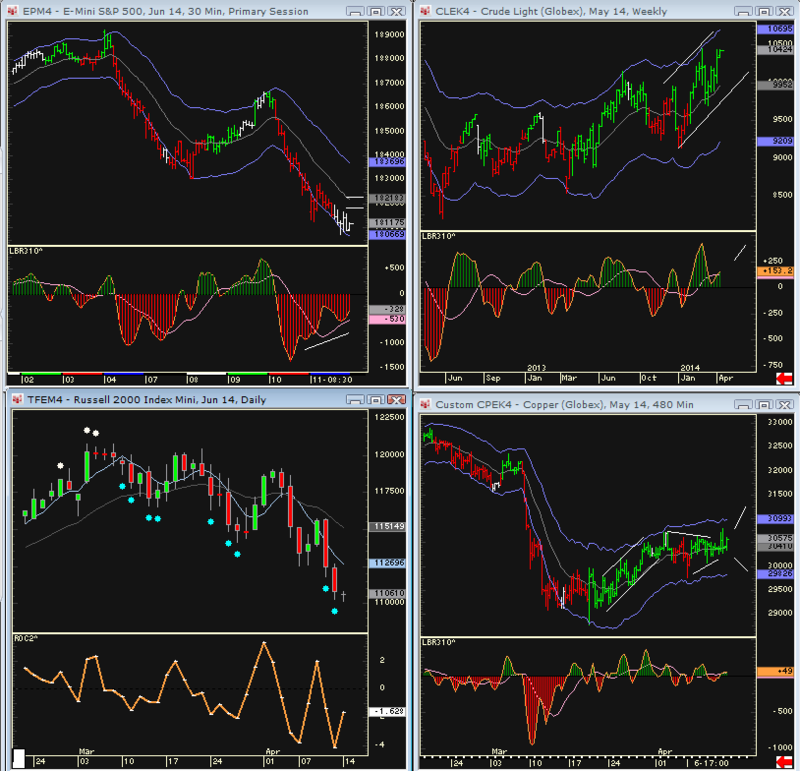 The SPs closed with 30 minute Buy Divergences. Thus, the 20 EMA on the 30 minute chart is a good benchmark to watch. (1821,75 as of Fridays close but this will quickly drop on down). Copper has consolidated 11 trading days. This often marks the end of a low volatility period and sets up a breakout. This is also the same time window that Buy or Sell divergences form, indicating low volatility loss of momentum. Copper can move in either direction but it closed with a three bar triangle as well as an NR4. Crude is testing a key pivot on the daily charts. The up trending channel on the weeklies remains firmly intact and this market is on an extended run to the upside.